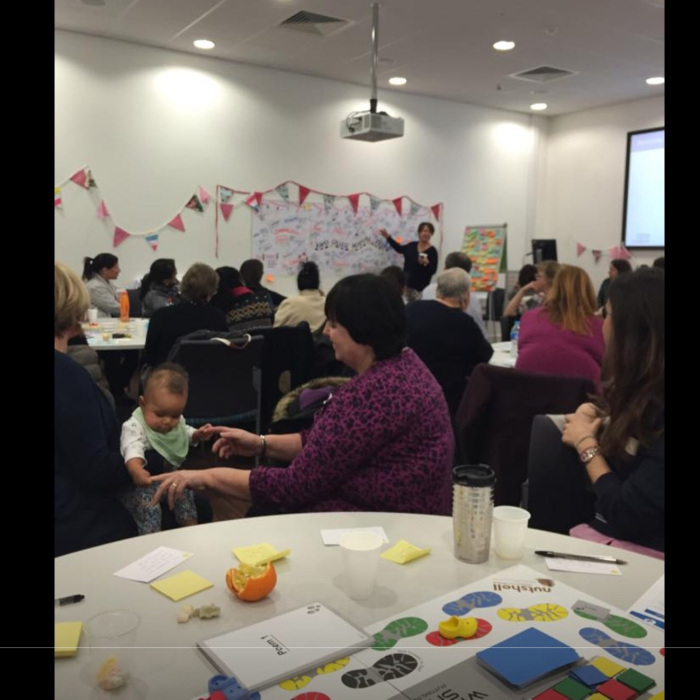 I started a new thread with this comment at the top, and tagged in Gill Phillips as I felt it would make an excellent scenario for the WhoseShoes game that is used in #MatExp workshops around the country. We then had a discussion about bedsharing that raised some important points, and I felt it important to capture that discussion and share with you here. 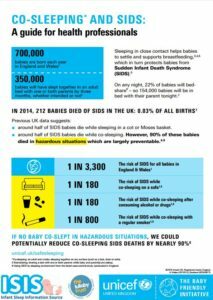 What was quickly brought up was the co-sleeper cots that used to be available to women on some postnatal wards. 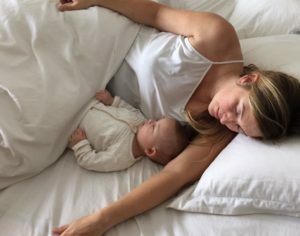 This article was linked to: http://www.scarymommy.com/hospitals-everywhere-should-have-this-amazing-co-sleeping-bed-for-new-moms/ and I remembered that midwife Jenny Clarke had been tweeting about them this year. 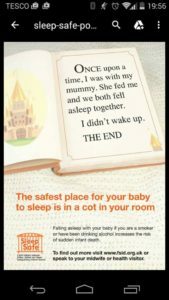 The conversation then went in a couple of different directions – one discussion of bedsharing on children’s wards when a baby is ill, and one discussion of the guidelines that trust’s expect health visitors to follow when discussing bedsharing with the families they support. This issue came up on my own private Facebook group today, as a member explained that her niece was hospitalised (and will likely be so for some time) and is refusing to sleep anywhere but on mum. 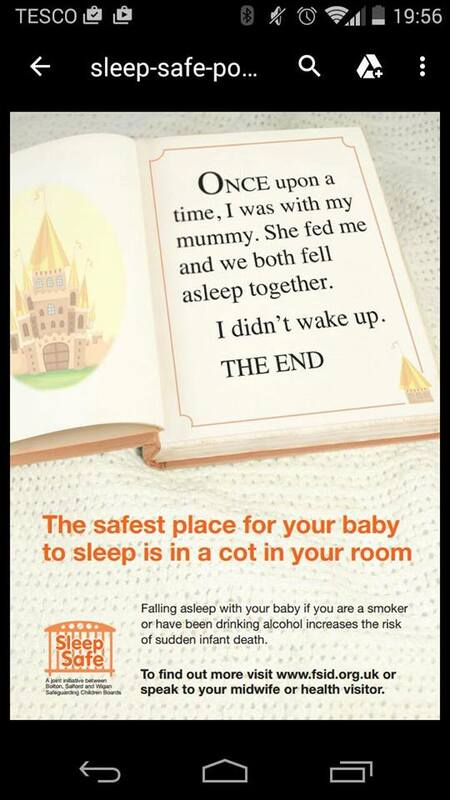 As mum is unable to bedshare in hospital due to lack of facilities, mum is getting very little sleep. 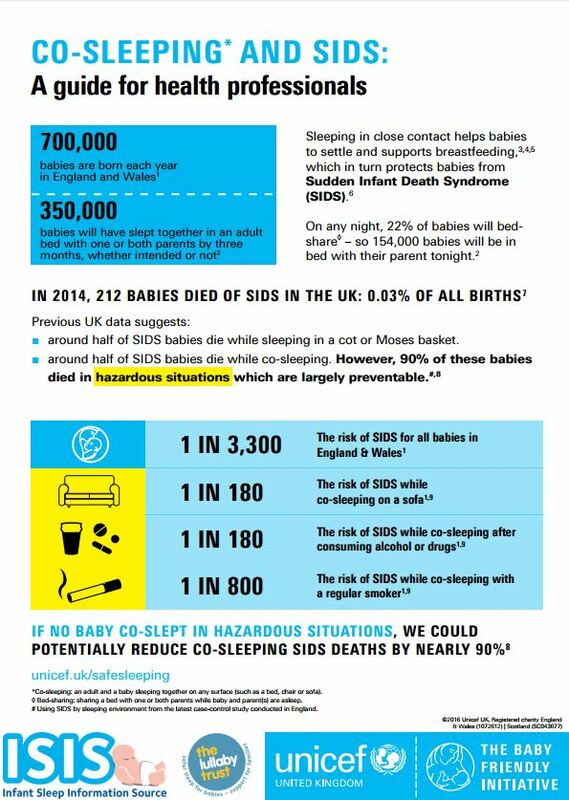 This conversation took place before the launch of the new Baby Friendly “Co-sleeping and SIDS” guidance for healthcare professionals, which has been developed in conjunction with the Infant Sleep Information Source and the Lullaby Trust. This guidance focuses on helping healthcare professionals “to take a sensible, proportionate parent-centred approach in order to find practical solutions to this complex issue”. Certainly a topic we need to continue to discuss then. 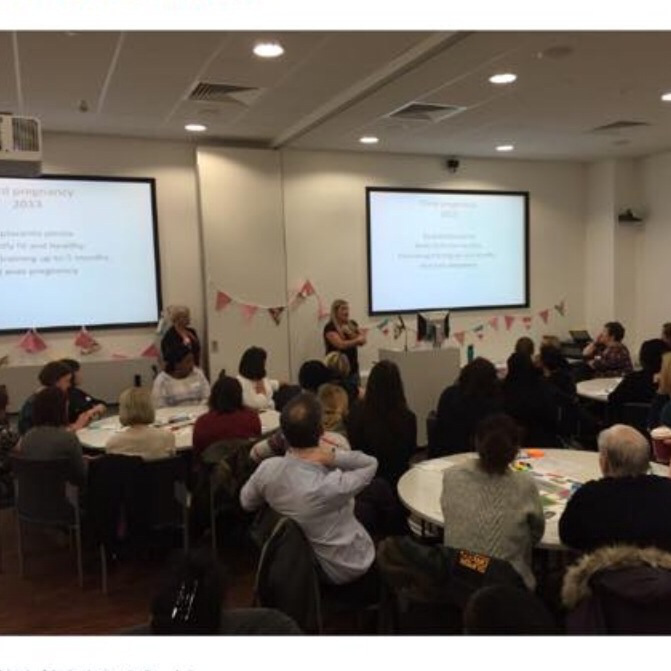 I was asked to do a talk to student midwives at Salford University in January on the topic of “Women’s Voices” in maternity care. As part of my presentation I included the voices of the midwives who work in maternity care, and a reminder that there are many other women for whom maternity care is their professional, as well as perhaps their personal, experience. 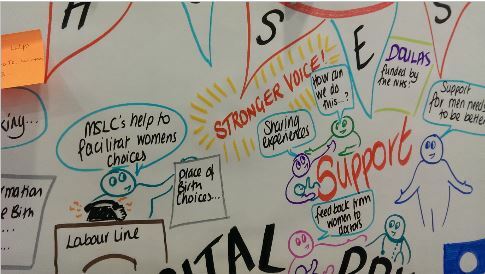 “Women’s Voices” in maternity care should cover the midwives, obstetricians, health visitors, doulas who care for us, as well as the women giving birth. 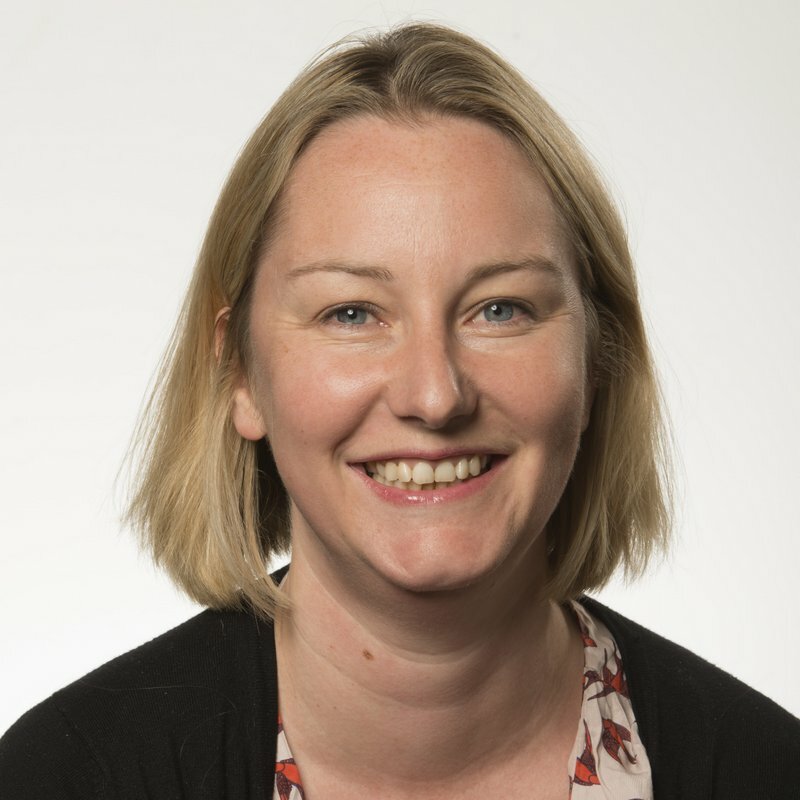 Carolyn is a consultant anaesthetist in St George’s hospital in London. Anaesthetics is usually the biggest department of doctors in most hospitals. We cover services including intensive care, operating theatres for all specialties and patient groups, resuscitation teams, pain management, and many other areas as well as maternity care. For those of us with a special interest and training in obstetrics are usually on the maternity unit for the day, but on other days we may be working on general (abdominal) surgery, transplant or any other kind of surgery, intensive care or whatever our other specialty interests may be. In our unit, my day starts with a handover from the night team. 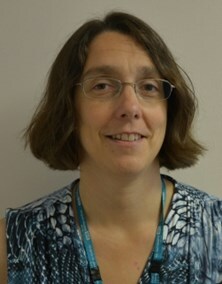 The registrar (senior doctor in training) who has been on the maternity unit overnight tells us who has had anaesthetic input with pain relief (usually epidurals), any women who have been to the operating theatre and require ongoing care and highlighting anyone who may require extra vigilance during the coming day. This might be because of a pre-existing medical issue or developments in labour that may make care more complex. Because all anaesthetists have training that includes caring for people who are critically unwell and are part of resuscitation teams, we have the skills to help the maternity team care for lots of conditions that maternity teams may see very rarely (like heart disease) or those that are more common but might be serious if not treated early (like infection/ sepsis or heavy bleeding). We also start the day by checking our equipment in the operating theatre and emergency medications. We must be ready to move at a moments notice if the situation arises, for urgent surgery or some other intervention, as we all know, maternity situations can change rapidly! 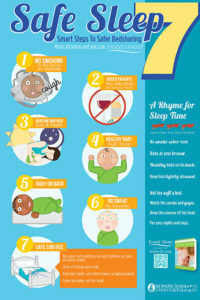 These are scenarios we practice and refine until we can do them as safely as possible. Safety is a key part of anaesthetic practice, in our training we learn a lot about teamwork, safety theories such as ‘human factors’ and communication, and we check and practice a lot, so when we need to act quickly we can do so safely. We will be involved in any planned (elective) caesarian sections during that day, in my hospital there are usually 2 or 3 cases planned per day. It must be so intimidating for a woman to come to the operating theatre; such a foreign environment and the idea of surgery whilst you are still awake must be so daunting. And then of course the nerves and excitement about finally meeting your baby! I see it as a big part of my job to help make that experience as positive as it can be, and help make women and their partners feel welcome, secure and hopefully even relax. Maybe even some skin-to-skin contact in the theatre. Maternity work is very different from all other anaesthetic practice because unlike most of our other work, our patients are (usually) awake. This adds to the challenge: undertaking potentially difficult anaesthetic procedures, communicating with the theatre team, maintaining safety by monitoring and reacting to any changes in your patient’s condition but all whilst being mindful that the patient and her partner have holistic needs. Reacting to these needs and helping them to feel safe and secure is very important. There is always a balance to be struck with maintaining our best and usual practice for safety, and providing individualized holistic care. I think this is best achieved by talking and understanding each other’s perspectives. Perhaps we don’t do this enough. We will, of course, respond to any requests for pain relief for epidurals, which is what most people think of when they think of anaesthetic involvement on delivery suite. 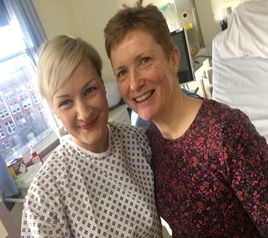 It can sometimes be the case that women is distressed, distracted or even scared; so there is a real need for thoughtful communication and co-operation to help her and undertake the epidural safely. This balance of technical and people working skills is a common theme for us in obstetric anaesthetics. I am lucky that our maternity team values co-operation and team working, and anaesthetists are an important part of that. 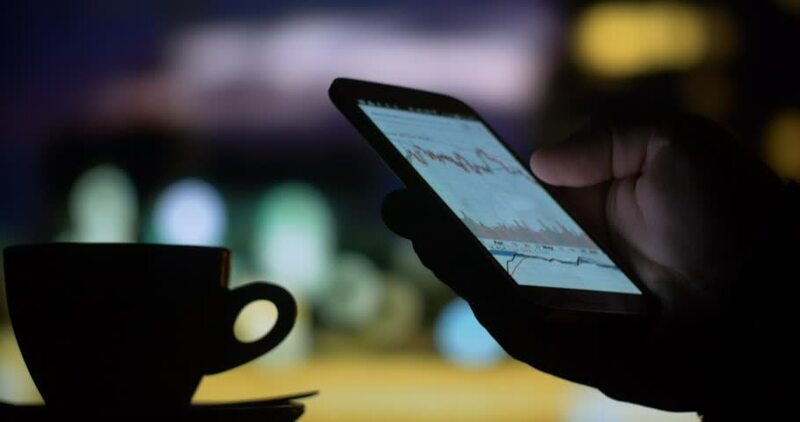 It isn’t always the case that we are fully included in the team, and this can be a real source of frustration, because so many patients tell us our involvement is very helpful. We have a reputation (unfairly?) of being the epitome of intervention, so I guess we aren’t welcomed by some who hold strong views that birth should be natural. 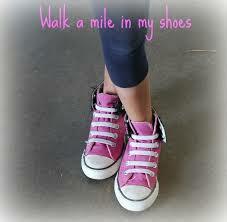 I have no desire to force my interventions on anyone- I would much rather put my feet up! Ultimately, I think the woman can make up her own mind, and as we pride ourselves on knowing the evidence, she should always get impartial advice about risks and benefits from an anaesthetist. 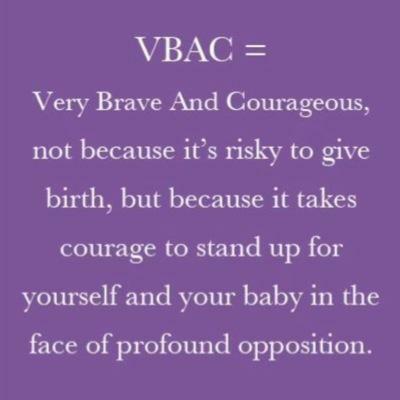 I’ve been trying to avoid the word ‘risk’- I know it’s becoming unpopular in maternity discussions. There is no avoiding it: anaesthetists deal in risk. We train and work in very high-risk areas including emergency surgery, trauma teams, heart surgery, intensive care and in those roles we’ve all seen someone die in front of us as we care for them. 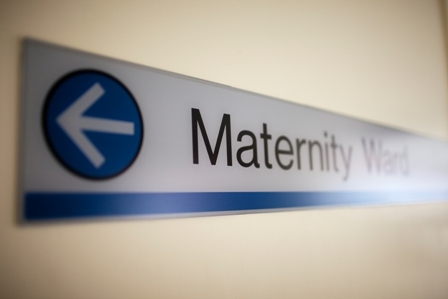 Anyone we look after is a patient, and rarely a client- it’s hard to switch this off when we come to maternity and so we often use terminology and even a more risk-based attitude that can clash with the modern ethos of maternity care. 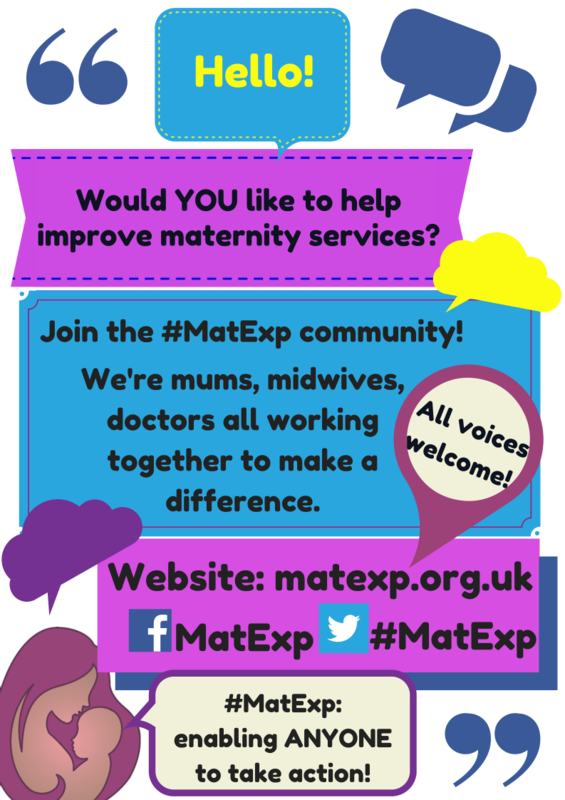 “One of the strengths of #MatExp is to try and hear all voices with respect and understand different perspectives so that we can work together to improve maternity experience. My name is Ruth-Anna, I’m 32 and a Mum of two busy, lively and opinionated little people aged 2.5 and 5. I’m also privileged to work as a doctor in obstetrics and gynaecology. My official title is ST5 doctor, which means I’ve been specialising in obstetrics and gynaecology for 5 ‘years’ (after 6 years at medical school and 2 years of moving around specialities). However it’s actually nearer 6.5 years since I started specialising, because of having time out for having babies, and working part time (I work 35 hours a week and spend two days at home with the kids). At the end of my ST7 ‘year’ of training, all being well, I’ll be able to apply for jobs as a Consultant but right now that feels a long way off! My alarm is set for 6.45 but the kids usually wake me up first. I get up & dressed, grab some breakfast (if I’m organised enough!) wave goodbye to the kids & husband and jump on my bike. It’s a Saturday so the cycle into work is pleasantly peaceful and I enjoy a bit of headspace. My job is incredibly varied and over the course of a week I could be seeing women in antenatal clinic, gynaecology clinic, on our day assessment unit (walk in for pregnant women with concerns about themselves or their baby), operating in gynaecology theatres, scanning women, looking after women who are inpatients for any gynaecological or pregnancy-related problems, seeing women in A&E with acute gynaecological problems, or covering the Early Pregnancy Assessment Unit. Today, however, I’m working as the Labour Ward ‘registrar’. I’ll be working with an ‘SHO’ (in newer terminology, this could be an FY2, an ST1 or ST2 doctor), who may or may not be specialising in obstetrics and gynaecology, as well as my Consultant. I’m in work by 7.45 and change into my scrubs, to head into our handover meeting for a prompt start at 8am. All the midwives, obstetricians and anaethetists for that day on Labour Ward are there. Our night team counterparts inevitably look pretty knackered and relieved to see us. Some days we take over and there are only one or two women on the Labour Ward but today it’s a busy one. As we talk through the women, one by one, I’m thinking what the risks might be for that woman and baby, predicting and preventing any problems and pre-empting potential issues. Hopefully none of those will happen but our job is largely about predicting problems that never happen, so that we can be prepared for when they do. Even so, a day on Labour Ward is unpredictable and filled with surprises. 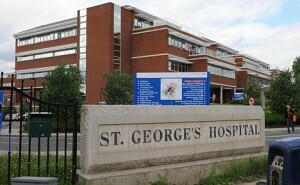 My current hospital saw around 6000 babies delivered here last year and it serves a fairly ‘high-risk’ population, with above average numbers of women with a high BMI, older mothers, women who may have come into the UK recently, women with multiple pregnancies or concurrent medical problems. We also have women who are transferred in to us from other places where the NICU or SCBU don’t have the facilities to look after the smallest or sickest babies. Women expected to have totally uneventful labours are normally on our Birth Centre and I won’t generally be involved in their care unless there’s an issue that the midwives ask me to help with. Myself, the Consultant, SHO, the Anaesthetist and the Labour Ward Co-ordinator (Midwife in charge) do a ‘ward round’ of all the other women – to introduce ourselves, find out more about her and how things are progressing, and make a plan, if anything else needs to be done. This morning there are 12 women on Labour Ward. The first woman we see had a Caesarean section overnight and lost a lot of blood. She’s having ‘high dependency unit’ care and is currently having her third unit of blood transfused as she had a very low haemoglobin level due to the blood loss. We assess whether she has had enough blood replaced, whether there are any signs of further bleeding, and whether she needs any further treatment. She’s understandably shell-shocked and we go through the events of the night with her and her husband. Her baby was taken to the NICU and her priority is getting well enough to get into a wheelchair so she can go and see him there. Next we see a woman who’s tragically had a stillbirth. She attended the day unit at 38 weeks into a normal pregnancy with reduced fetal movements, and it was confirmed the baby had died. Her labour was induced yesterday and she’s spent the night trying to come to terms with what has happened. Understandably she has lots of questions for us, which we do our best to answer. I offer her some medication to suppress her breastmilk production and give her some information to consider about a possible post mortem examination for the baby. We offer her the choice of going home today or staying another day and she will think about it and let her midwife know. We complete the ward round, seeing a woman with a straightforward labour who is on the Labour Ward only because she has an epidural, a woman who previously had a Caesarean but is in spontaneous labour and all is well, a woman who is being induced for a post-dates pregnancy and a woman who has been admitted in possible preterm labour at 28 weeks. The next few hours is a whirlwind of emergency buzzers and bleeps. Another woman has been admitted from the day unit – she’s had an uneventful pregnancy so far but at her midwife appointment today at 32 weeks her blood pressure was found to be dangerously high, with protein in her urine. Her midwife suspects she has pre-eclampsia and has sent her in to us. She needs urgent assessment my myself and my anaesthetic colleague, a cannula (drip), bloods taken, and medication to lower her blood pressure. She starts complaining of a headache and when we test her reflexes they are abnormal so we also recommend that she starts another medication (magnesium sulphate) to reduce the risk of having seizures. We need to see how she responds to the treatment but it’s likely we will need to deliver her baby imminently to treat the pre-eclampsia, so we also recommend the first of two doses of steroid to help mature the baby’s lungs. Her midwife calls the Neonatal team to check that our NICU have a cot available for this premature baby. 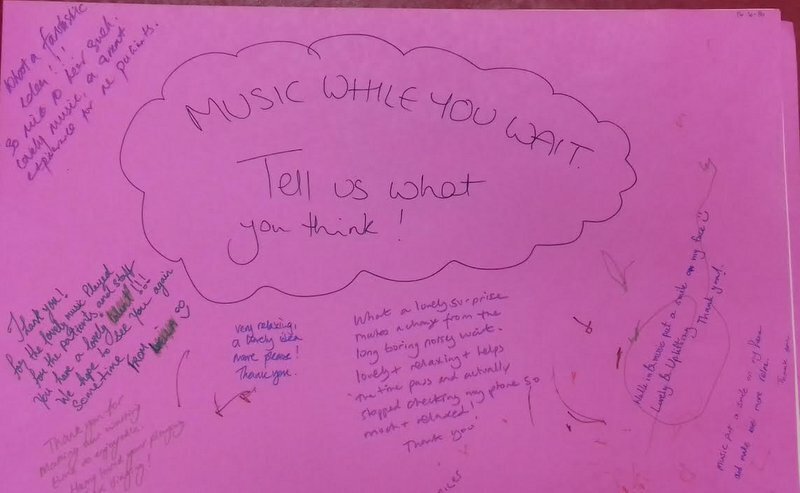 She also asks them to come and speak to the woman to explain what to expect if her baby needs to be born prematurely. I perform a scan under the supervision of my Consultant which shows the baby is small and its fluid is reduced – this is a common effect of pre-eclampsia. We ask her not to eat and drink in case the baby needs delivering imminently (if she needed a general anaesthetic it’s important to have an empty stomach). I leave my SHO administering the first dose of the magnesium sulphate as the Co-ordinator calls me to see a woman who is in the second stage of labour (fully dilated and pushing) whose baby is showing signs of significant distress. I assess the woman, and the fetal monitoring, and explain that I would recommend an instrumental delivery, to which she agrees. As the baby is already quite low in the birth canal I decide this can be safely achieved in her delivery room, so after giving an injection of local anaesthetic to block the my SHO and I perform a ventouse delivery and her baby is delivered with no complications. I finally see a woman who has been waiting several hours to progress to the next stage of her induction of labour. We haven’t been able to proceed with things as we would have hoped due to the other situations that have arisen and the effect on available staffing levels. I explain this to her but she’s understandably upset and frustrated, as well as exhausted, and I leave the room feeling pretty downheartened. It’s 3pm and I suddenly realise I haven’t eaten anything so grab a sandwich and a drink before heading back to see the unwell woman with pre-eclampsia. Her blood pressure still isn’t under control despite high doses of medication and my Consultant decides that we can’t wait any longer and that she will need to have her baby delivered today. 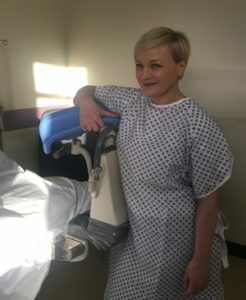 At 30 weeks in her first pregnancy, with a growth restricted baby, the team decide that Caesarean will be the quickest and safest way of delivering her baby. 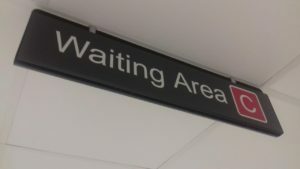 She’s shocked – it certainly wasn’t what she was expecting when she headed to her midwife appointment that morning, but her partner has now arrived and she is willing for us to proceed. I talk her through the operation and explain the risks and benefits, before she signs a consent form. The Co-ordinator speaks to the theatre team to prepare everything, as I call my anaesthetic colleagues. Her midwife gives her ‘pre medications’, tight stockings to wear and gets scrubs for her partner to wear. While with my sick woman I was asked to attend the Birth Centre to check whether a woman who has just delivered has a ‘second degree’ tear (that can be sutured by the midwife in her room) or a ‘third degree’ tear that would need to be sutured in theatre by me. As the anaesthetists perform their anaesthetic for the woman in theatre, I finally make it across to the Birth Centre and thankfully for the woman it’s a second degree tear. I apologise she’s been waiting so long for me – she’s lovely about it but I still feel bad. I’m bleeped from theatre to say the spinal anaesthetic is working and they are ready for us to start the operation. I do her Caesarean, with my Consultant supervising in view of how sick she is and the fact the baby is premature. Thankfully it is an uneventful procedure and the baby is born in reasonable condition, although he still needs to go to the NICU. His mum comes back to the Labour Ward as she is still unwell and the next 24-48 hours can actually see a deterioration in her condition. We sit down for a quick cup of tea and I feel guilty I haven’t tackled any of the computer-based tasks I have piling up, and the audit I’m trying to finish before my appraisal next month. Still, they’ll have to wait for another day. I check my phone and see 15 messages from home – thankfully it’s nothing urgent; they are just photos from my husband of the family party he and the kids are at today. The night team start to arrive and I feel relieved. Today I’ll manage to get away pretty much on time, once we’ve finished handover. I need to send some electronic tickets to my Consultant so she can sign to say what she’s witnessed me doing today, for my appraisal. I know that if I don’t do it now I’ll forget. I’m out of the building by 20.45 and head home to wolf down the dinner leftovers. I spend the cycle home thinking about the women and babies I’ve looked after today, hoping all will be well, and wondering what I could have done differently. After 8.5 years as a doctor I’m pretty good at trying to leave all those thoughts behind – at least temporarily – when I put my key in the lock, although I do drop my night colleagues a quick text before bed to ask how the woman with pre-eclampsia is doing. She’s stable and I finally let myself switch off. Tomorrow is one of my days at home with the kids and I’m looking forward to taking my 5 year old to school and my 2 year old to toddler group. 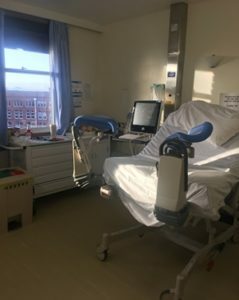 “When I first read the blog I felt it pretty accurately captured a fairly ‘standard’ day on labour ward for an obstetrician. I recognized it absolutely & have spent many days similar to this over the years. 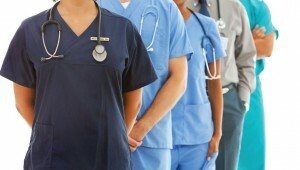 The multitasking, prioirtising, constant juggling of clinical situations is quite typical. Some of it may feel dispassionate and lacking emotion, that doesn’t mean that the author doesn’t feel anything or that she doesn’t treat the women she sees with compassion and care it just means there is an element of self-preservation to enable one to take split second clinical decisions we need maintain an exterior calm. It is also essential so that we are not sobbing halfway through the shift or at the end of the day it enables us to be resilient and get up and do it all again the next day or to care for our own family. Imagine what it would be like if you were trying to do this job pulled from pillar to post how would you feel? This is where working as part of a fantastic multidisciplinary team becomes important, those of us that are lucky have wonderful midwives, nurses, midwifery assistants alongside us. If we are less lucky or those relationships are adversarial that can be very difficult as the support isn’t there. No obstetrician sets out to hurt or upset women or become a barrier they may be under huge pressure, having a bad day, feeling scared of that responsibility, worrying about an exam or appraisal. We are human too. There is no fluff here , this is obstetrics in reality. There are one or two particular clinical situations that may distress you: such separation of mother and babies is never ideal & making the focus getting a mum to see her baby in NNU sounds so simple but can be harder than it sounds if people don’t work together & make it happen, A bereaved mum seemingly given cursory information and a very short hospital stay after such a life changing event is hard to read but sadly is the current reality , we know this needs improving hugely with better support during and after and a birth environment separate from the main maternity wards. 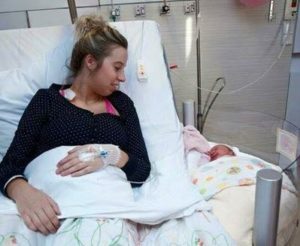 A shocking sudden decision to deliver a baby preterm at 30 weeks. It is hard to write and hard to read and some elements can’t be changed they are clinical reality but amongst that the words we use, the understanding we have of how it might feel both for families and those caring for them there are plenty of things that can be done to improve care. Look at #Hugoslegacy #Saytheirname & cards for bereaved parents. Watch Abigail’s Footsteps’ video ‘The deafening Silence’. Look at the campaign to have a bereavement suite in every maternity unit started by Ben Gummer MP. Think about what language you are using in that short time you have to see someone. Think about the importance of the team to the obstetrician often junior on whose shoulders there is massive responsibility; if you are a midwife or other healthcare professional support them and work with them. These quotes really illustrate why MSLCs matter. They sum up why I am so passionate about maintaining and sustaining our wonderful Maternity Services Liaison Committee and helping others maintain theirs. Because I have seen the difference a dynamic, properly supported, MSLC can make to a hospital Trust. 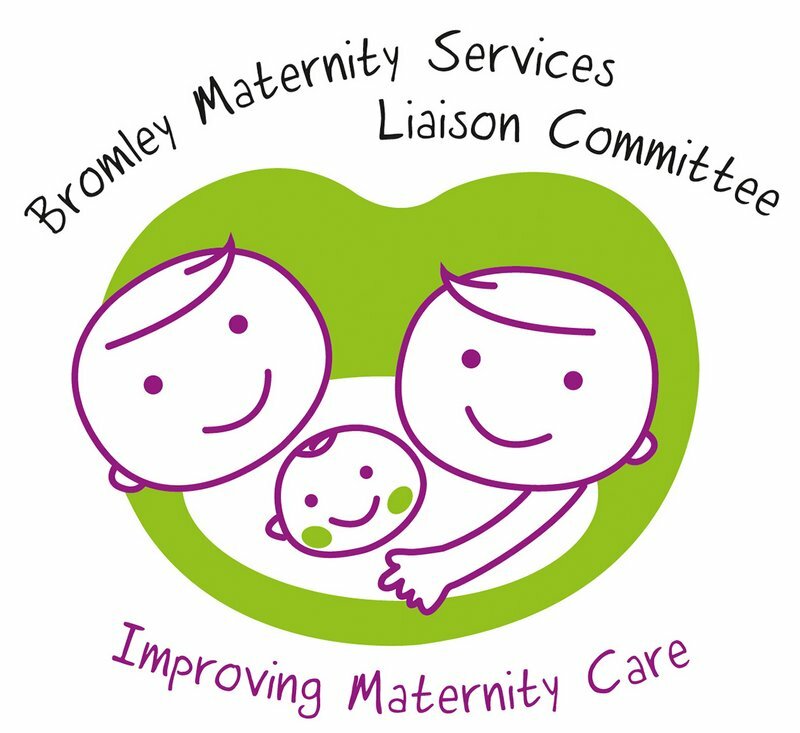 Bromley MSLC, like its counterparts throughout the country, is a mix of individuals including commissioners, service users, midwives, doctors and other professionals coming together to monitor and improve local maternity services. The respect that everyone has for each other is evident in our meetings and some of the lightbulb ideas that arise are extraordinarily exciting. I tend to come away from meetings with my head reeling, but also tremendously grateful that we have this group of extraordinary passionate, dedicated people working and living in our area. So that services reflect the needs of local people. Recommendation 13 from the 2015 Kirkup report into the Morecombe Bay Investigation also highlighted the importance of MSLCs. They are the only multi-disciplinary committee of its kind in maternity, bringing together commissioners, NHS Trust staff AND the women for whom the service is designed. One third of the committee is made up of service users, including a service user rep chair and vice chair. They should include service users from all parts of the community, ensuring that all women’s voices are heard. They plan, oversee and monitor maternity services in a local area and make recommendations for improvements where necessary. They are one of the few examples in maternity where there is true collaboration between healthcare professionals and service users on equal terms at a local level. This leads to a much greater understanding between both parties of the challenges that are faced and the issues that really matter to local women. The National Maternity Review also highlights the consensus among health professionals to change things for the better. Nowhere is this more evident than on an MSLC! 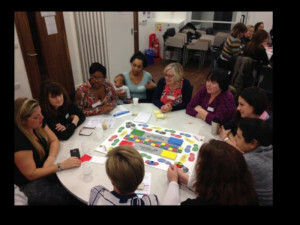 They plan…..together with the commissioners, service users have the unique opportunity to help shape the future of the maternity services in the local area. 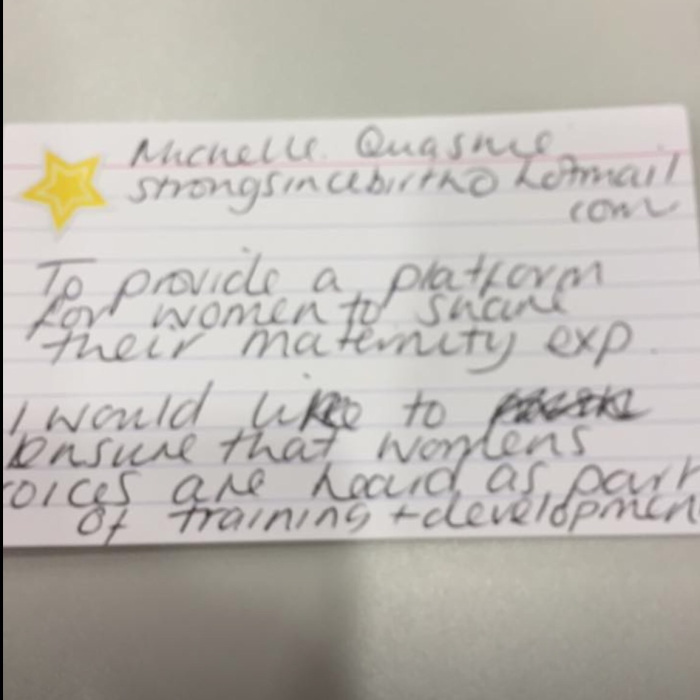 For example, because of user testimonials provided by our MSLC to the clinical executive, a new perinatal mental pathway is being developed in our local area by the CCG, which will greatly benefit thousands of women. They oversee……our MSLC is involved in one off projects designed to improve maternity experiences for local women. We have designed information posters, are having an input into a “Welcome to the Ward” postnatal pack and have helped improve the birth environment on the Labour Ward. We also make tours of the wards, bringing a service user perspective and a fresh pair of eyes to the environment. They monitor……our MSLC gains feedback from women through surveys, questionnaires and Walk the Patch both in the hospital and more recently in children centre health clinics in the community. That feedback is given directly to the lead health professionals of the Trust as well as the commissioners, who listen and act on our recommendations. Those improvements are then fed back to the service users, via social media and other means, so that we close the loop. This type of work is not just being done by our MSLC. I know of countless other committees which are tirelessly working to improve services in their local area too. Our brilliant vice chair Michelle Quashie is planning a Women’s Voices conference in October and has asked me to present the achievements of our MSLC and others around the country, demonstrating how effective collaborative working can be. I am looking forward to showcasing just what has been and can be achieved then. At our recent Whose Shoes event pledges were made at the end of the workshop about something that the delegates would do differently as a result of that day. These pledges have formed the workplan for our MSLC for 2016 and we will check to ensure that they have been carried out. 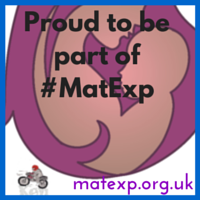 MSLCs are true examples of #MatExp in action at a local level. We were also really pleased to see the importance of MSLCs highlighted on our beautiful graphic courtesy of New Possibilities. 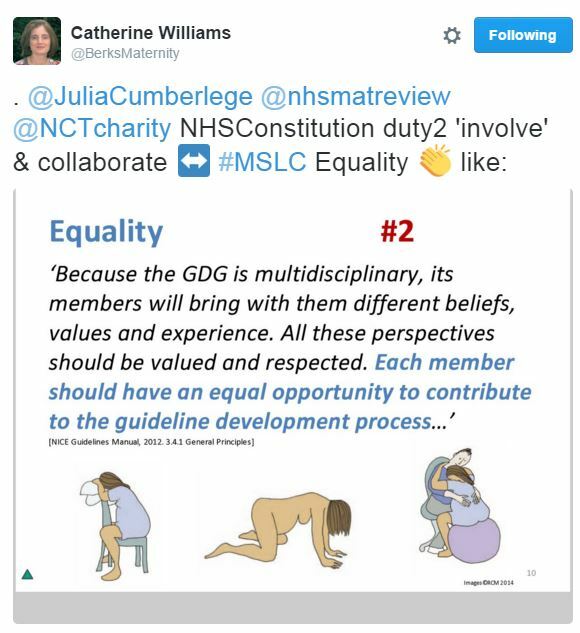 “MSLCs matter because it is gives all that are passionate about a Women’s Maternity experience a chance to join forces and make their hopes for better birthing world a reality. It enables all members to be involved in ensuring this happens. It allows true collaborative working and keeps service users involved in decisions made about women’s maternity care and that of their family. It’s a safe place where women’s voices are heard, valued and respected. A Women’s experience is its driving force for that reason I am proud to be part of such a dynamic committee. Initiatives like ‘Walk the Patch’ enable all women’s voices to be heard regarding the maternity care they are receiving. These voices from the community can then be filtered back to senior levels and actions are derived to improve the service as a result. WTP also gives the chance for those HCP that are providing truly women entered care the recognition they deserve. 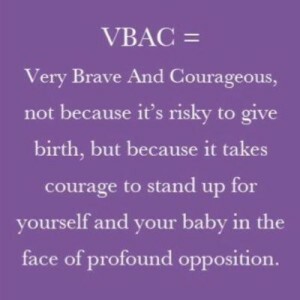 I joined the MSLC after feeling very let down buy my personal maternity care. I knew I had to help change things for other women. Being part of the MSLC has enabled me to do that from the inside out. The work we have done and the wonderful HPs I have worked with has helped to restore my faith and feel empowered by being part of making change happen for others. Refreshed guidelines from NHS England, due for imminent publication, call for MSLCs to be run, maintained and funded by the CCGs. This is much needed, because in the current economic climate many MSLCs are fighting for modest but essential funding to continue the collaborative work they are doing. In addition, due to the unique nature of these committees it can be difficult for the commissioners to work out a mechanism for funding. 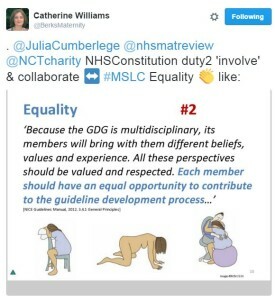 It is against this background, while MSLCs are struggling, that Julia Cumberlege, chair of the National Maternity Review, urges women in her introduction, “play your part…for your family and community … voice your opinions” as quoted at the top of this blog. 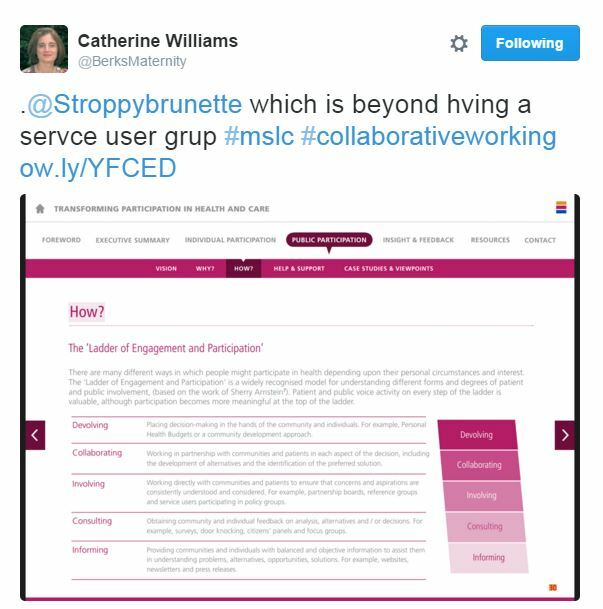 MSLCs provide an ideal forum for service users to do just that. They are the ‘best practice model’ for shaping the future of our maternity services. This post is from Michelle Quashie, and originally appeared on her blog site Strong Since Birth. Our thanks to Michelle for agreeing for it to be reposted here. The day had finally arrived! After contributing to #MatExp and interacting with many conversations surrounding ‘WhoseShoes’ throughout the year, I was finally going to experience the magic in real life. I was not disappointed, the day was everything I had dreamed of, but for me it was so much more. I was asked to open the event by sharing my Maternity Experience. I have spoke at several maternity training events in the past but my audience has always been Midwives. I was aware that this was a multi discipline training event and it was to be the first time I would share my story in such detail with Obstetricians and everyone else involved in Maternity. The thought made me feel anxious but I knew how important this opportunity was. I had planned to stay in control and not let the emotions attached to my experience be displayed in the form of tears. It was so important to me to remain composed and in control. 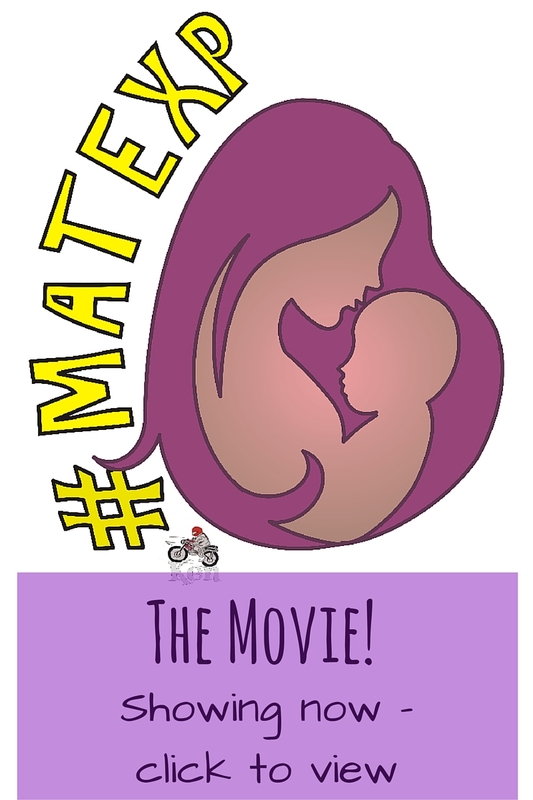 My heart pounded through the showing of the MatExp film, this film moves me every time. It is so powerful and very thought provoking. Sadly I can resonate with many of the situations displayed in the film. I knew I was about to be discussing some of those memories any minute with all those surrounding me. My name was called and I made my way to the front with my heart pounding. I decided to be honest and share how I was feeling with the room. Automatically I felt more relaxed and felt more able to share my story without the anxiety overruling my thoughts. It’s amazing how every time I share my experience it comes out slightly different, or I find myself saying things that I hadn’t thought of before? I had missed a couple of important bits out but neither the less I was very happy with the way I had presented and gauging by the feeling of emotion in the room I had touched the hearts of nearly everyone around me. For the first time I was able to keep my tears to myself even though I had noted that tears were shed by many in response. The room fell silent but the atmosphere spoke volumes. 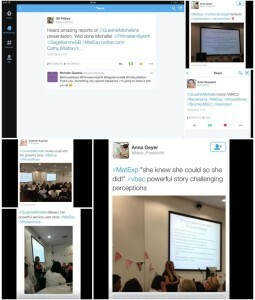 I wasn’t aware of the tweets that were being circulated on social media but looking at them them later along with the emails I had received It confirmed that my talk was a positive part of the day. 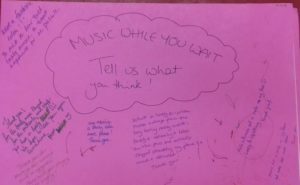 We began to play the the game and interesting discussions were had in response to the thought provoking questions that are key to the WhoseShoes success. A woman wanted a home birth but her husband wasn’t convinced. We had discussed that there wasn’t enough support or information given during antenatal care to ensure that the couple felt safe,supported and empowered to fulfil the woman’s birth choice. Consultant Obstetricians are normally addressed by other members of their team using their title i.e., Sir, Mr, Mrs or Miss as a mark of respect. 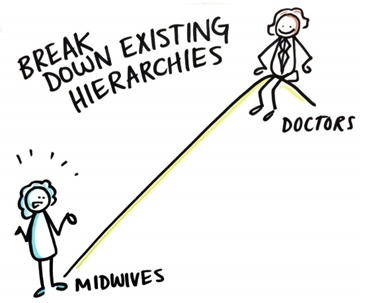 I may be wrong but it feels hierarchical, unlike the power slogan and barrier breaker behind WhoseShoes and #MatExp ‘No Hierarchy, just ordinary people’. It was also discussed that consultants were on site until 9 pm, after that they are on call for emergency situations only. Now I understand why during my appointment to discuss my VBAC, the registrar said ‘ I mean, we don’t know when you will go into labour or who will be on duty should you rupture’. 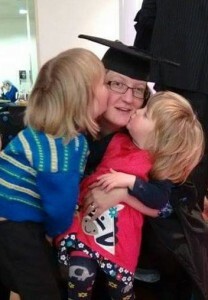 I now understand that my birth choices were influenced by staffing levels at the hospital. 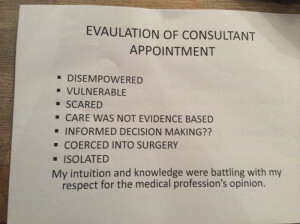 Other key themes were Empathy, Language, supporting and facilitating informed decision making and just how important it was for everyone to be cared for individually based on their individual situation and needs. Midwives are able to have time to build a relationship with women whereas doctors are often called for the emergency situation and do their best to resolve the medical issue as it arises. This can sometimes make it hard for them to be able to connect with the woman that they are caring for and are not always able to fully appreciate the long lasting effects the experience can have on a woman. The day was coming to an end and Anna gave us fabulous evaluation of our morning using the comments that came from the discussion at each table. 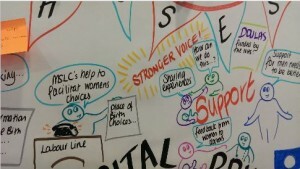 It was fabulous to visualise the discussion using the graphic that Anna had been working on through out the morning. I am currently planning a conference called ‘Women’s Voices’. More details will be available soon. As the morning came to an end and people were leaving someone tapped me on my shoulder. I turned round and my tummy flipped. The face before me took me straight to a place of feeling vulnerable, feeling panicky. 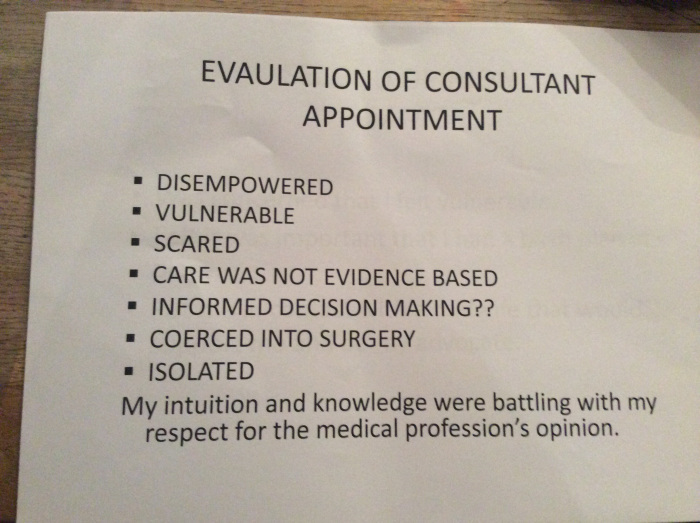 Stood before me was the registrar that I had my consultation for my vba2c with. Unbeknown to my self and the organisers we had shared the morning. 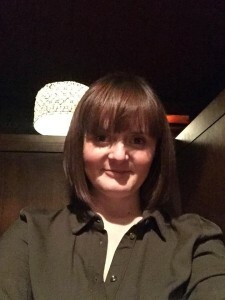 I had shared an experience that changed my life but had also been a time that left me feeling scared, vulnerable, isolated and questioning my mental health. The person that was responsible for those feelings was standing here in front of me, for a moment the feelings came flooding back, I battled to keep them contained. She apologised for the way she had cared for me. She admitted that she had been wrong and has since ensured that she was fully aware of her professional guidance. She was now fully supportive of women’s choice regarding their birth and ensured me that since having to write a statement in response to my complaint, she is fully aware of the impact of the care she provides a woman. She actually thanked me for highlighting the error of her ways promising me it had changed her attitudes. I could see that she was overwhelmed with emotion and had spoke to me honestly. She asked if she could hug me and we both held each other for comfort. I told her that I admired her for taking the time to come a talk to me and for apologising. I also explained that I was aware that she was not entirely to blame for the care I had received and I now understood that her response to me wanting a vaginal birth after two caesareans was due to the cultural belief of the trust she worked in. It was clear that my birth wishes would not be supported and neither would anyone wanting to support me at that time. I know this because many attempts were made to provide me with the support I needed and no one stepped out of their comfort zone to provide me with the support I needed with regards me birth choices. As a result I had no choice but to transfer my care. She empathised and promised me that as a result of my experience things were changing. We said our goodbyes and I was trying very hard to contain my emotion that the meeting had evoked. The flood gates open and I broke down. I couldn’t talk at that moment. I was just overwhelmed with emotion. I couldn’t make sense of it at the time but now I think I can. That meeting with the registrar brought some closure. I admire her ability to acknowledge the error of her ways. The meeting took me back and reminded me of the scared women I once was sitting in her office, trying to persuade her that I could give birth, pleading with them to allow me. Feeling so horrible when it was highlighted that I had never given birth and they wasn’t sure if I could. I was subjected to a number of negative comments that effected my mental well being and left me questioning my sanity. Comments that left my family feeling unable to support my decisions in fear of my safety. it was a meeting that left me feeling isolated. I gave birth, not only did I give birth but I bloody rocked that labour ward! I came back and I told the story, I sang it from the rooftops! I learnt to believe in me and my abilities. 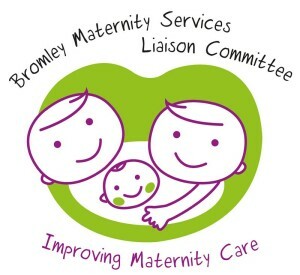 I joined their MSLC and contributed to so many fantastic improvements within the Maternity service. I have spoke at training events within maternity with an aim to improve maternity care for women. I have written and had my views published here and in The Practising Midwife . 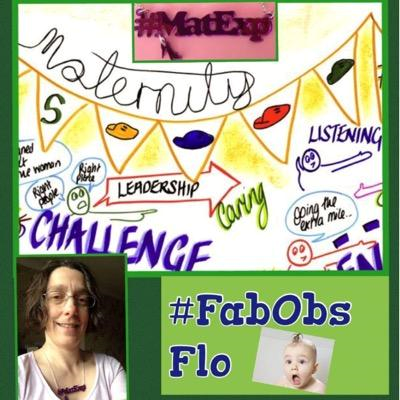 I have contributed to #MatExp campaign and connected with some fantastic people as a result. I have met, received support and been inspired by many fantastic people. too many to mention. The realisation that my shoes have climbed a mountain has happened! I just wanted to reiterate how touched I was by your story and how impressed I was by the way you delivered it. You will be responsible for improving the practise of every obstetrician in that room today which in the end will improve the care of tens of thousands of women. This is one of many mountains. I hope to be climbing a mountain near you soon.